It takes a special awfulness for an artist to be worth remembering not for the value but for the faults of his work. 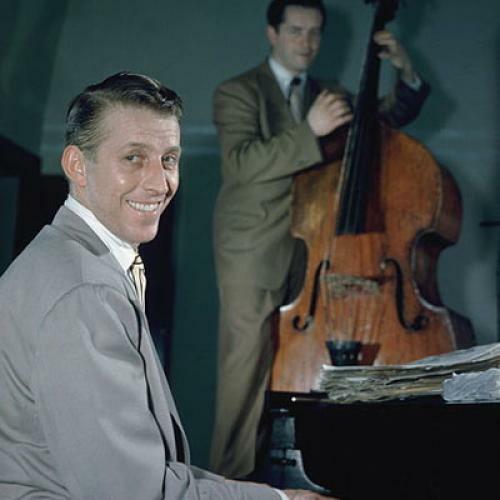 In American music, few well-established figures went quite so wrong as Stan Kenton, the pianist and orchestra leader whose centennial on December 15 will be recognized by concerts at Jazz at Lincoln, the Manhattan School of Music, and the University of North Texas, which houses an archive of Kenton’s papers and scores. The events are well intentioned, I have no doubt, and Kenton, through the musicians he hired—the arrangers Bill Holman and Gerry Mulligan, the saxophonists Art Pepper and Lee Konitz, the singers Anita O’Day, June Christy, and Chris Connor, chief among them—can legitimately be credited with some responsibility for at least a dozen significant contributions to the history of “cool jazz.” The bulk of his output, however, was blighted by ostentation, gimmickry, and bloat. Stan Kenton gave pretentiousness a bad name. Desperate to be taken seriously and ambivalent about the legitimacy of jazz as a style, Kenton conflated originality with novelty and importance with scale. In the early ’50s, he gussied up his big band, incorporating symphony instruments, until he was conducting 39 pieces, including 16 strings, woodwinds, and French horns. He named the ensemble the Innovations in Modern Music Orchestra, and he had it play overwrought emulations of the early postwar avant-garde—pieces such as “Opus in Pastels,” “Dance Before the Mirror,” and “Trajectories.” I recommend the music highly to any contemporary artist inclined to monstrosity and susceptible to self-aggrandizement. In fact, I should send a CD to Kanye West. Bitter about being overshadowed by his African-American superiors in the Down Beat magazine critic’s poll, Kenton sent the editors a now-notorious telegram, grousing of his status in “a new minority, white jazz musicians.” He was something less than sensitive— personally as well as professionally, according to his daughter Leslie Kenton, who, in a memoir published last year, detailed what she described as an incestuous relationship with her father. One need not be concerned with that controversy to see the problem with Stan Kenton. Kenton’s music was monstrous enough.